This easy recipe for summer tomato peach chicken salad uses fresh herbs and a light dressing to make this the perfect warm weather meal. 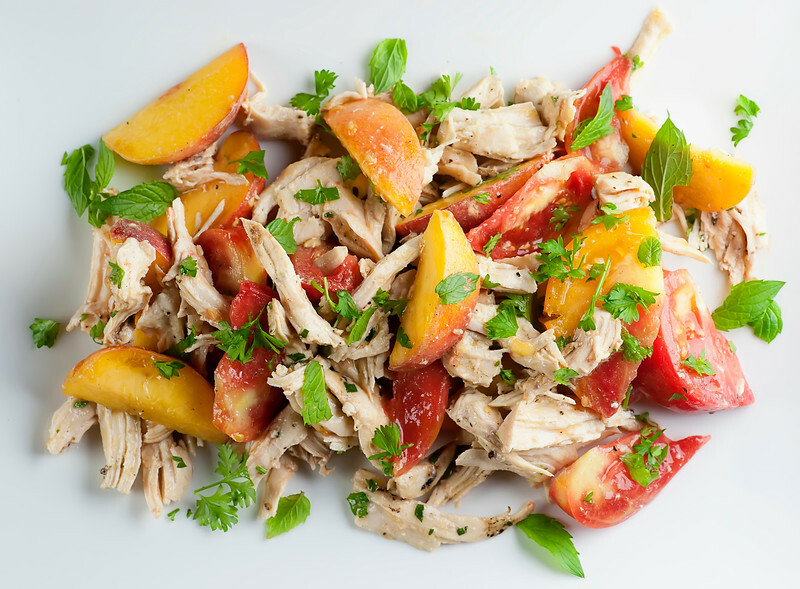 When I break out this recipe for summer tomato peach chicken salad, you better believe that summer is TRULY here, because this warm weather favorite is the perfect perfect way to use those first summer tomatoes, those first summer peaches, and those first summer herbs, and (dances around in happiness) they are all finally here! Toss them together with some cooked shredded chicken and a bright, snazzy dressing and serve it up outside, and see if you don’t think that this is pretty much summer on a plate. So grab a local tomato in one hand, a local peach in the other, and let’s make it!This recipe is one of the many millions of reasons that I always make more chicken than I need whenever I am making chicken. If you have a bowl full of leftover chicken in your fridge, you are pretty much golden in terms of getting a scrumptious dinner on the table, because it is so easy to build a quick, one bowl meal around it. 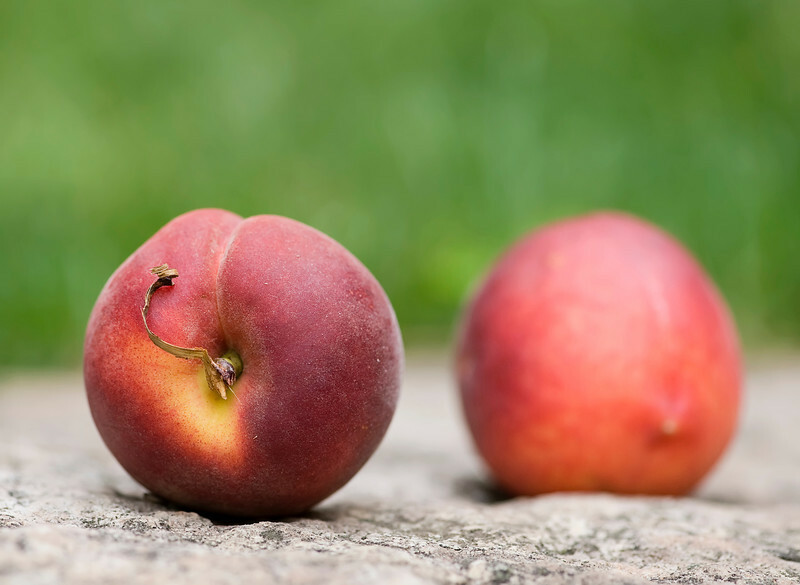 In this case we are going to take a few peaches and cut them up into bite-sized wedges. Make sure you inhale a good sniff of that sweet peach aroma first. THE. BEST. You also need a few tomatoes, and if you are lucky enough to have heirloom tomatoes anywhere near you, grab them! They are a little pricier, but they have a deep, sweet tomato taste that is just out of this world. And if not, no worries, any local tomato will do. 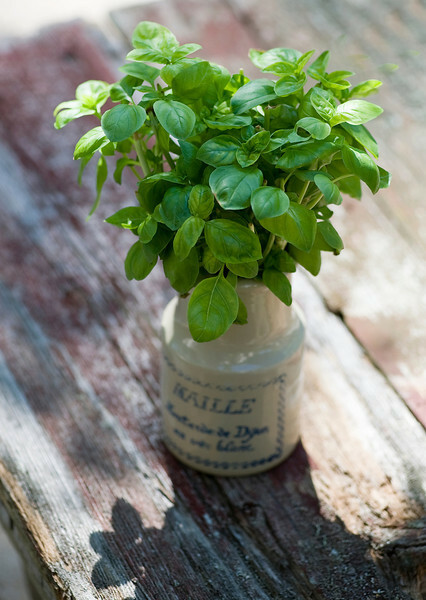 You also need a generous handful of fresh herbs. I like a combo of basil, mint and parsley, but feel free to experiment with the herb part of this recipe. If you are a fresh thyme and tarragon type of person, you be you. You really can’t go wrong with fresh herbs. I love them so much I have been known to put them in vases around the house. Anyway. You are going to put together a quick dressing of oil, vinegar and mustard, and shake it up in a jar until it is all mixed together. Combine your chicken, peaches, tomatoes and herbs, and then drizzle on that dressing, tasting as you go until you have the exact perfect amount. And that…is that! 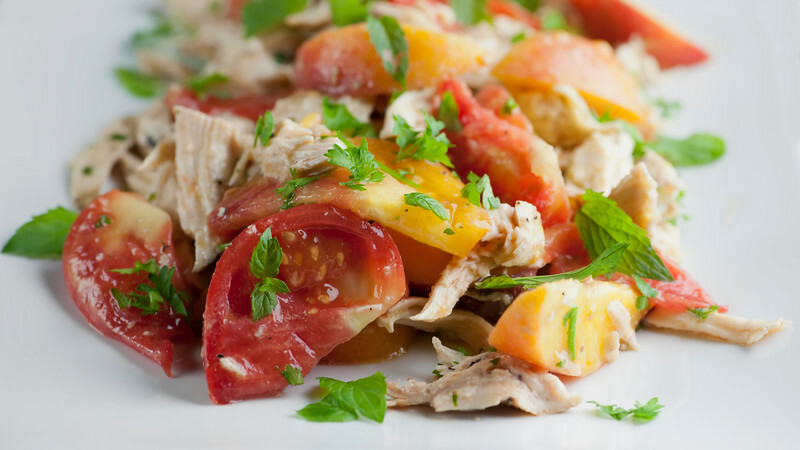 Lovely, healthy, delicious summer tomato peach chicken salad, at your service. Make dressing: pour vinegar, oil, mustard, salt and pepper into a small jar and shake vigorously. Toss chicken, tomatoes, peaches and herbs together gently in a large bowl (clean hands work best for this). Drizzle dressing on slowly, tasting as you go, until the salad has the right amount of dressing for your taste. Serve! I want to put that on a big bed of baby spinach! And, maybe, just for fun, give those peaches a little color on the grill before tossing them in. Looks fantastic, Kate! Happy summer eating to you! Well, I just LOVE both of those ideas! Happy summer to you too, my friend! This sounds so light and cool! The perfect summer meal! It’s my current summer favorite! 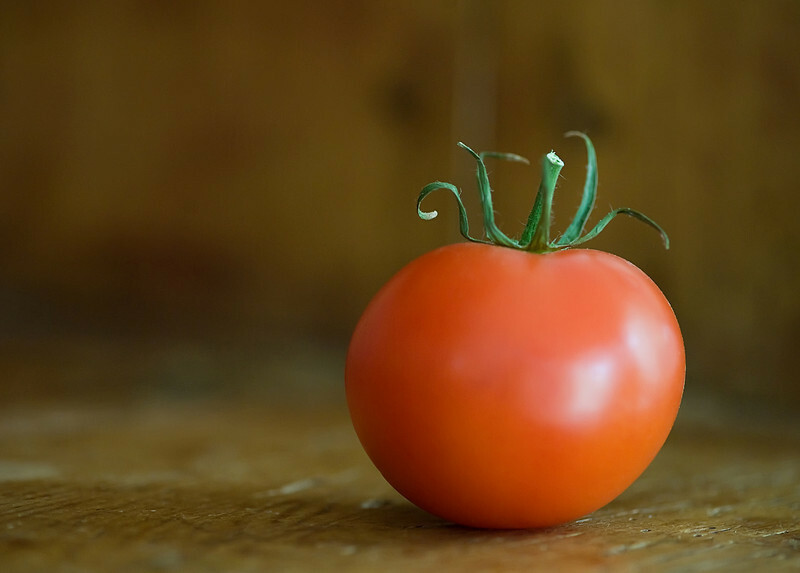 Love the picture of the tomato! This salad looks like a perfect summer salad! The tomato picture is one of my favorites out of all the millions I’ve taken!